Please select a size. UK 6 - In StockUK 7 - In StockUK 8 - In StockUK 9 - In StockUK 11 - Low StockUK 12 - In Stock Please select a size. 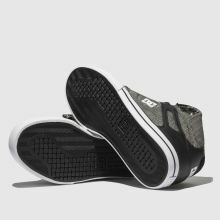 Flaunting classic skate-style credentials like a padded collar and tongue, DC Shoes deliver the sleek Pure High-Top WC TX profile. 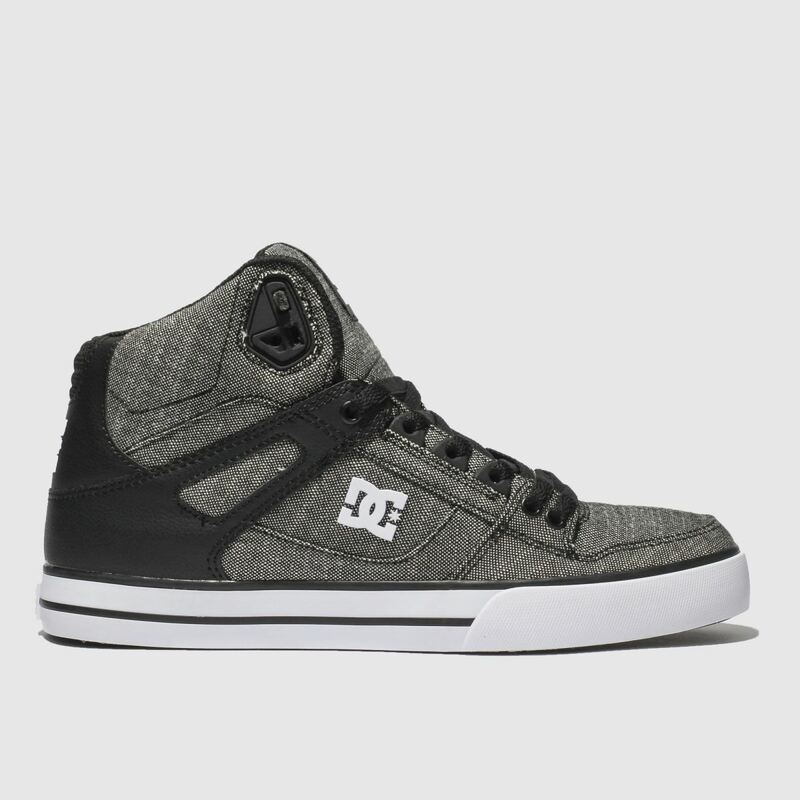 The grey and black fabric upper boasts DC branding across the sidewall while an abrasion resistant outsole completes.